Instead of the NARS lip pencils, I chose a dr. brandt skincare set as my birthday present from Sephora this year. One of the products included was the dr. brandt Microdermabrasion Skin Exfoliant which turned out to be a product I was really impressed with. When I heard that the brand had released this innovative PoreDermabrasion Pore Perfecting Exfoliator, I wanted to try it. About the Brand: dr. brandt skincare is the natural evolution of Dr. Brandt's professional dermatology practice and clinical research. The dr. brandt skincare line represents the fusion of science with active botanicals by combining sophisticated delivery systems with the power of vitamins and botanicals. Their products are formulated under dermatologic control for maximum safety and efficacy, offering the highest performance available without a doctor’s prescription. They do not test on animals, use artificial fragrances and all packaging is made of recyclable materials. Product Claims: dr. brandt PoreDermabrasion Pore Perfecting Exfoliator is a unique professional grade physical and chemical exfoliator and pore perfector in one. It is suitable for all skin types and works instantly to deeply cleanse pores while strengthening and tightening the look of them by removing congestion and impurities. Key Ingredients: This product employs dual pore exfoliation technology using professional quality micro-crystals that provide optimal physical exfoliation to deep clean pores and improve skin texture and caviar lime extract, a chemical exfoliant that sloughs off dead skin and removes impurities for a smoother, brighter and more even complexion. Salicylic acid works to unclog and refine pores. Lentil seed extract strengthens and tightens pores for a more polished appearance. Tazmanian Pepper Berry soothes and nourishes sensitive skin and reduces discomfort. Packaging: A standup glowy blue plastic tube with a flip top cap. Price: $58 for 2 fl.oz/ 60 ml. My Thoughts: I've used this exfoliator twice a week for 2 weeks following my usual double cleanse without my Clarisonic or Foreo Luna. The directions recommend slowly and gently massaging the product onto damp skin for 1 minute then allowing 1 -2 minutes for it to activate and and deep cleanse the pores before rinsing. The first time was like a revelation because of how crazy soft and clean my face felt afterwards and subsequent uses yielded similar results. The product itself has a creamy gel-like texture with microfine crystals which will feel really abrasive if not used with a light touch. I've used similar products with larger sized crystals and I feel like finer crystals work better since they can more effectively penetrate your pores to clean them out. It has light minty scent which surprisingly I liked and it gives off a slight cooling sensation as you're working it into your skin. I have sensitive skin and I haven't experienced any irritation or reactions while using this product. Overall I'm quite pleased with how it lives up to it's claims. I think there's something to this dual exfoliating action since my skin is smoother and the texture is more refined since I started using it. dr. brandt PoreDermabrasion Pore Perfecting Exfoliator isn't inexpensive but compared to the price of in-office microdermabrasion treatments which typically range from $100 - $200, $58 is reasonable and you only have use to a little each time. Compared to the brand's Microdermabrasion Skin Exfoliant, I'd say this one addresses pores better while the original is a stronger exfoliator. This isn't a must have product in a skincare routine but it has it's place for targeted care. 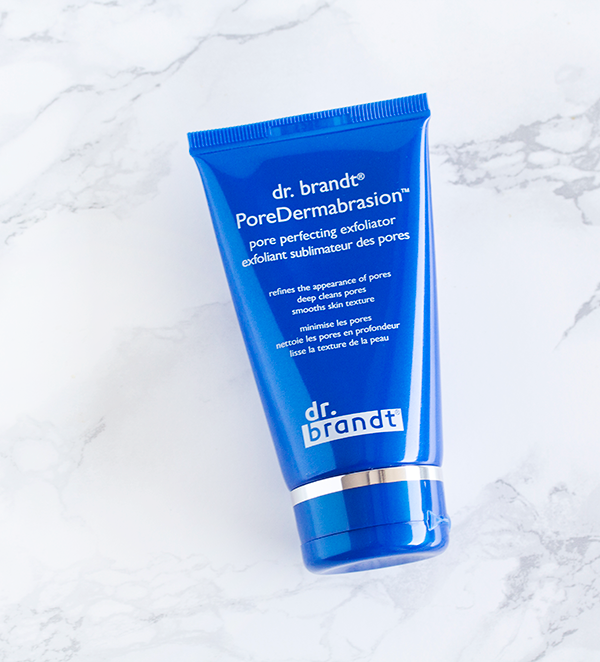 dr. brandt PoreDermabrasion Pore Perfecting Exfoliator is available through the dr. brandt website. Do you use any type of exfoliating products on your skin? Disclosure: This product was provided to me for review through iFabbo. No other compensation was provided and all opinions and words are my own. Dr Brandt's always appealed to be somewhat, but I tend to shy away from microdermabrasion products. I definitely have a strong preference for chemical exfoliators. I use a general facial exfoliator from REN and recently tried a little something from Kate Sommerville and fell in love. I have to go back and buy a bottle of it, it was really amazing. He has an amazing product collection I had not try these but due to your review will consider it. Hi Rowena. I don't use any exfoliating products yet but I'm looking for a good one. 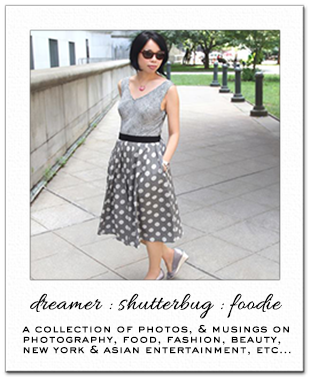 This one sounds great and I guess you can order it over here too. I will check it out. Wish you a happy Friday! Hi Rowena! To be honest, I have used exfoliating products but I am not keen on them at all. I have an oily skin but they makes it feel too tight, which I don't like. This one sounds very nice though. It's good that you are happy with it. Sounds price reasonable for a product you will be using twice a week. Have a lovely weekend, dear friend! i am interested in this product so i am glad you tried it for us! My favorite "stronger" exfoliant is actually from Boots No7 (Total Renewal), and I have repurchased thrice so far. I think it has alumina (not microfine crystal) and lacks salicylic acid. This sounds really interesting, I received a sample size of some kind of peel from the brand NeoStrata yesterday (through a subscription box) and I'm a little nervous in using it. It'll be my first time using 'a peel' and the direction to use is similar as this. If I get along well with that then I'll look into this from Dr. Brant. Great review, Rowena. I've used Dr Brandt products before and have always been impressed with their results. In terms of exfoliants, I don't use them very much since I have very sensitive skin. Thanks for the review. I am familiar with Dr. brandt but never tried any products because of the price. Maybe I'll try a sample one time since you liked it! Currently, I use aveeno daily scrub as an exfoliator. I need this for the area around my nose. I don't exfoliate my skin on a regular basis because of my dry skin but this sounds wonderful and I would consider using. Thanks for introducing this product. I love it when a product seems like a revelation! Exopoliating products are usually a part of my routine but last month I have stuck only with a natural olive oil and goat milk soap....I'm thinking about getting a new expoliating product for the next season. This dr. brandt expoliator sounds great! I started ex foliating recently, would love to try this product. Good to know it works. Happy weekend. This product sounds wonderful, need to give it a go! Great review, would like to try that! I wasn't given a choice for my birthday gift and I much rather would have had this, I might ask to switch since it hasn't been long and the other gift is still sealed. :) I have some exfoliating products but nothing I love, I actually just got this brand's oxygen facial and like it. Have a great holiday weekend! Usually when I hear dermabrasion I run, because of my sensitive skin. So I was so happy to hear this didn't irritate you Rowena. I've never tried any Dr. Brandt products, so it's good to hear its a great brand. Definitely keeping this in mind. Thanks for another great review! I'm going to have to look back on your cleansing process and also other products you've mentioned here as I try to figure something out for myself as well.